Teledex has long been the world leading manufacturer of hotel phones. Their latest series of one and two-line analog room phones are stylish and have the option of being quite colorful (see below) to match the decor of just about any guest room. The great thing is you can now buy them wholesale from HOTELtelecom. Great Looks. Outstanding Quality. The Teledex iPhone™ A100/200 analog series combines a fresh new look with legendary Teledex qualilty and reliability. Suitable for virtually any type of hotel, iPhone™ A series boasts graceful, sculpted curves that accent a comfortable, familiar user interface. 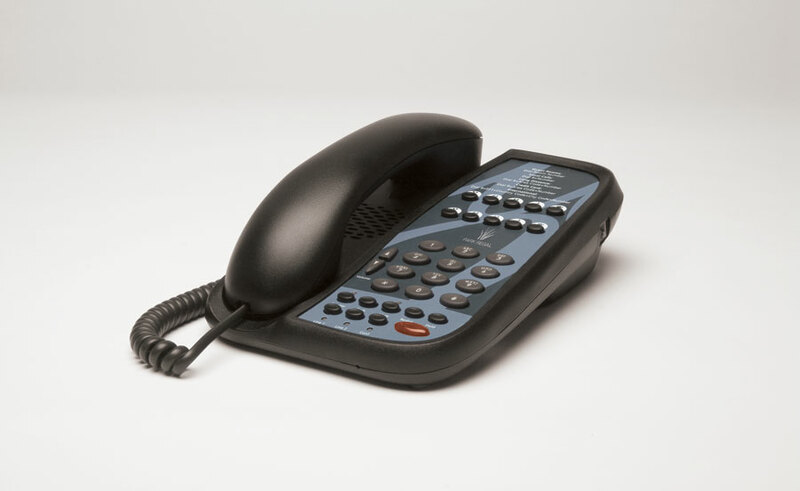 Modern, tech-inspired lines surround what’s inside: the industry’s most reliable, feature-rich telephone. 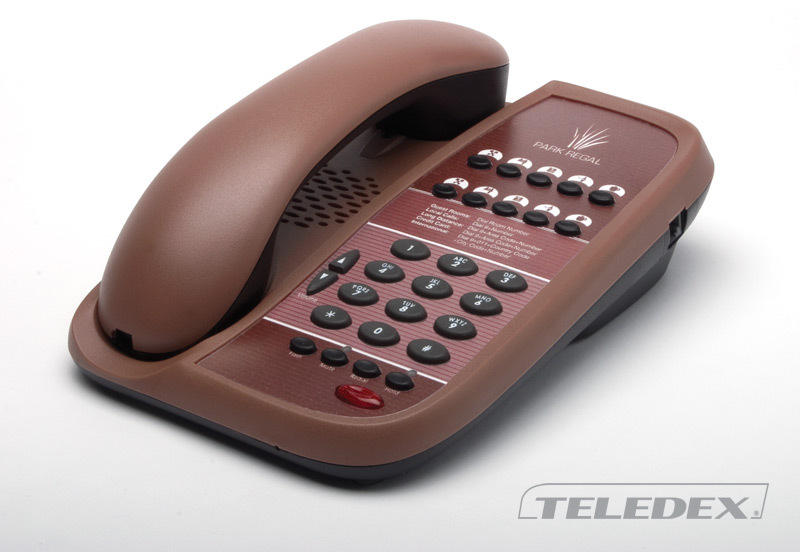 The Teledex iPhone A Series is flexible enough to fit any hotel or motel needs. 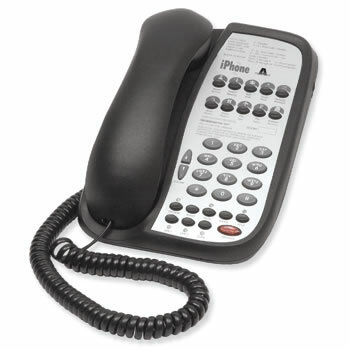 They are vailable with up to ten guest service buttons, in single or two-line models, and with or without speakerphone. Industry Leading Quality – There’s a reason there are more Teledex phones in guest rooms worldwide than any other: Quality. 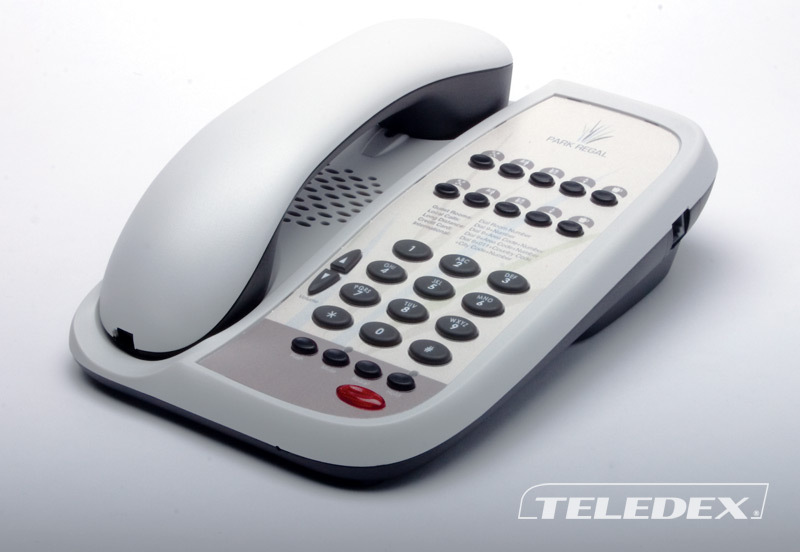 Your Teledex phones are built to last, and work the same on day 1,000 as they do on day one. So you can forget about your guest room phones, and concentrate on other things. Hotel Telecom is one of Teledex’s top distributors. You owe it to your business to contact us first for your hotel guestroom requirements! Add Color To Your Hotel Guest Rooms! 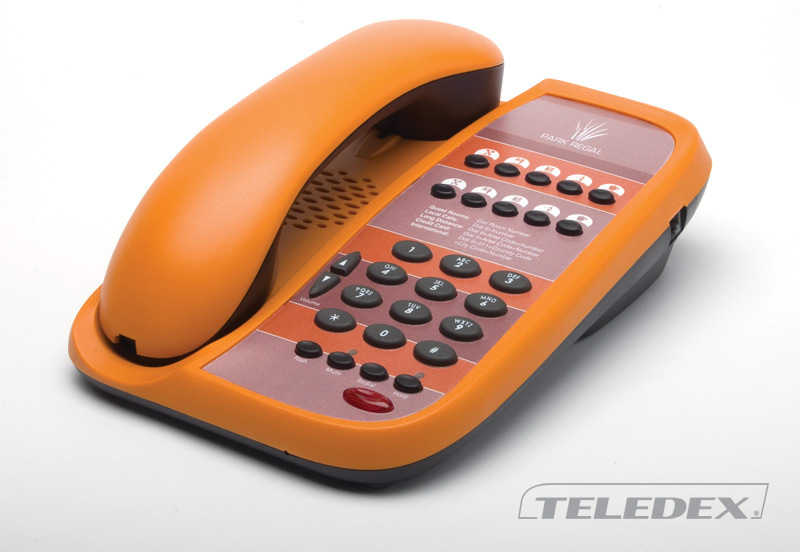 Teledex iPhone A series phones are available in Black or Ash, and now in your choice of eight standard colors (shown below). This way you can choose an iPhone A Series set to match your room design, and add a little flair to your guest rooms! Click the color phones here to see a larger image.Certain volume restrictions apply related to the color iPhone A Series telephone sets. For ordering information, CALL US DIRECTLY at 905-356-9199. This entry was posted in buy, hotel phones, hotel room phones, hotel telephones, iPhone A, motel phones, motel room telephones, motel telephones, Teledex, wholesale on March 21, 2012 by jjackson.